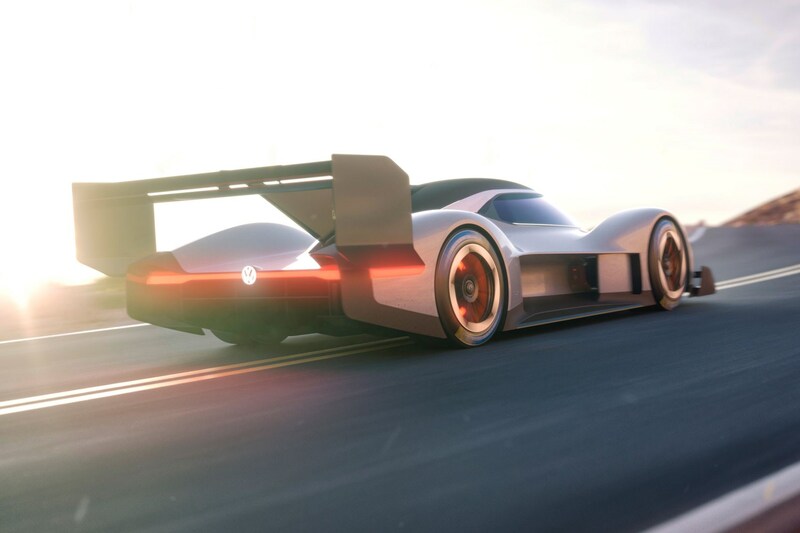 This is the muscled-up Volkswagen ID R electric race car, freshly unveiled in 2019 spec as Wolfsburg knuckles down on its bid to set the fastest Nurburgring lap record for an electric vehicle (EV). 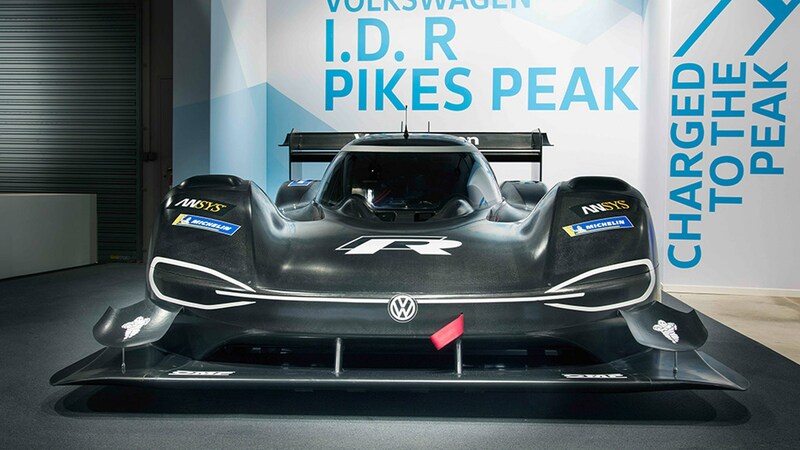 After taking the record for EVs at the famous Pikes Peak hillclimb in 2018, VW is now looking to squeeze as much PR and marketing goodness out of its ID R race car and take the electric record at the Nordschleife, too. VW has targeted summer 2019 to for its record attempt, and it’s going to have to modify the ID R to suit the very specific conditions the Green Hell brings. And the other hurdle? 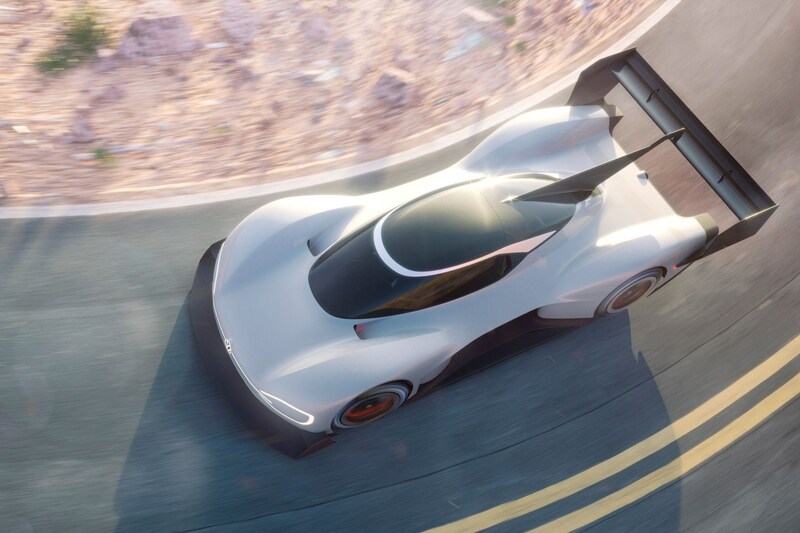 The existing records was set by the NIO EP9 in 2017 and stands at 6min 45.9sec. The NIO was driven by Britain’s Peter Dumbreck, who is something of a ‘Ring specialist. 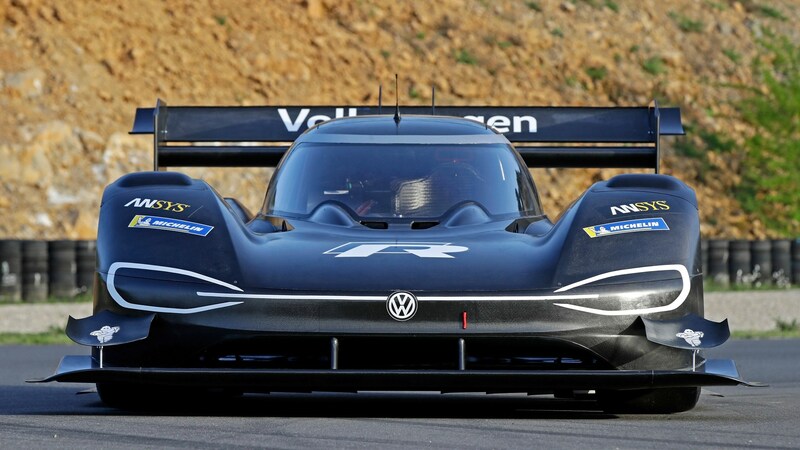 After his success at the Pikes Peak, VW is sticking with Romain Dumas once again. He’s also won the N24 four times, which could come in handy. 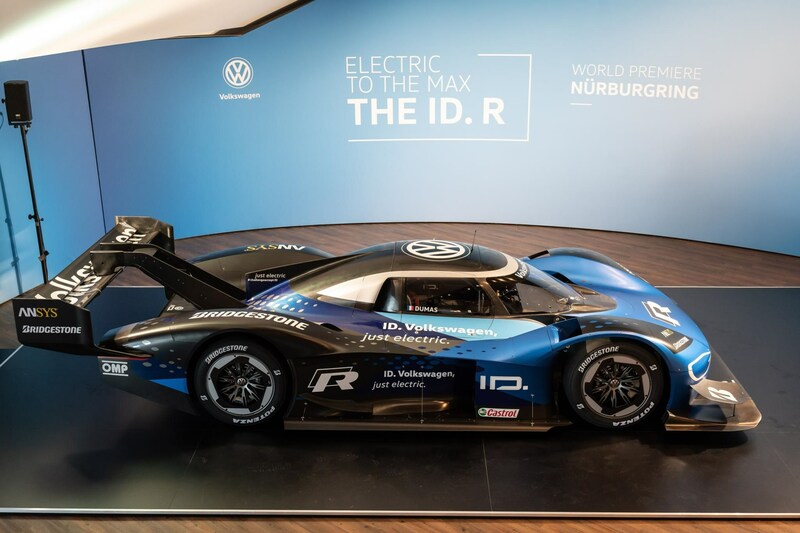 ‘After the record on Pikes Peak, the fastest time for electric cars on the Nürburgring-Nordschleife is the next big challenge for the ID R,' said Volkswagen’s motorsport director Sven Smeets. ‘A lap record on the Nordschleife is a great accolade for any car, whether a race car or a production car.’ To be clear, the ID R is far from a production car, though. VW says it’ll be testing the car until summer 2019 – so expect to see some spy shots of the ID R on the ring, soon. 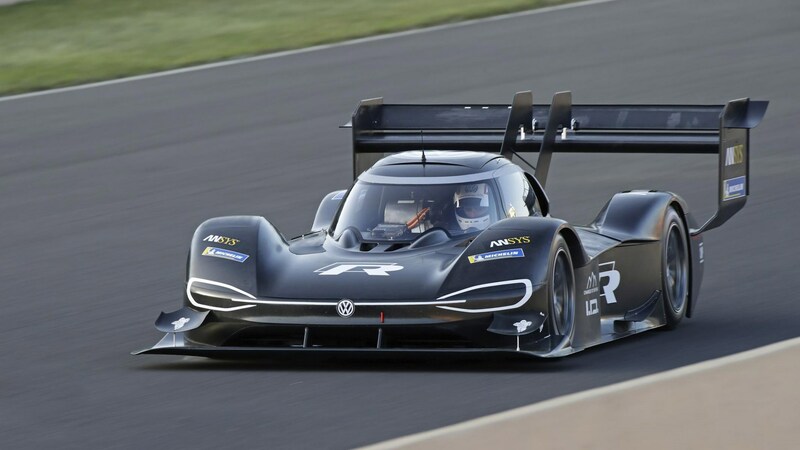 Volkswagen used its 671bhp ID R Pikes Peak to smash the Pikes Peak record last year. Romain Dumas drove the the 12-mile course in just 7min 57.148sec, beating the existing EV record - and also bettering Sebastien Loeb’s all-time record by 16 seconds. 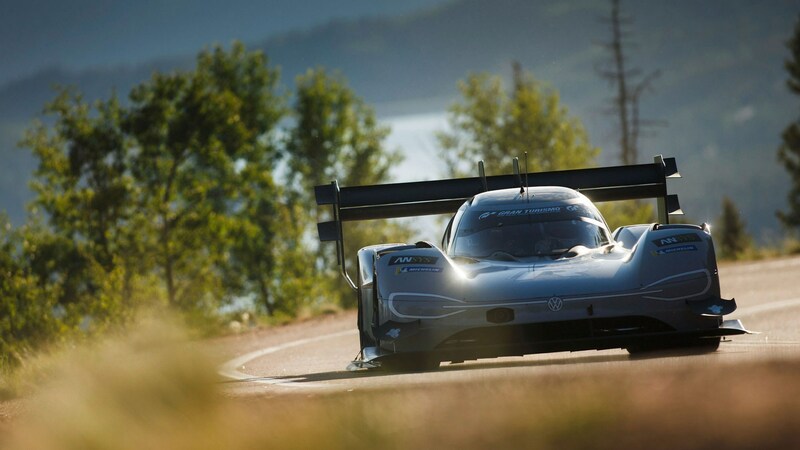 As you’d expect from a race car, the ID R Pikes Peak must compromise between weight and power, but its use of electricity makes the balance even more critical. More power is great, but the weight of extra batteries means slower direction change and acceleration. 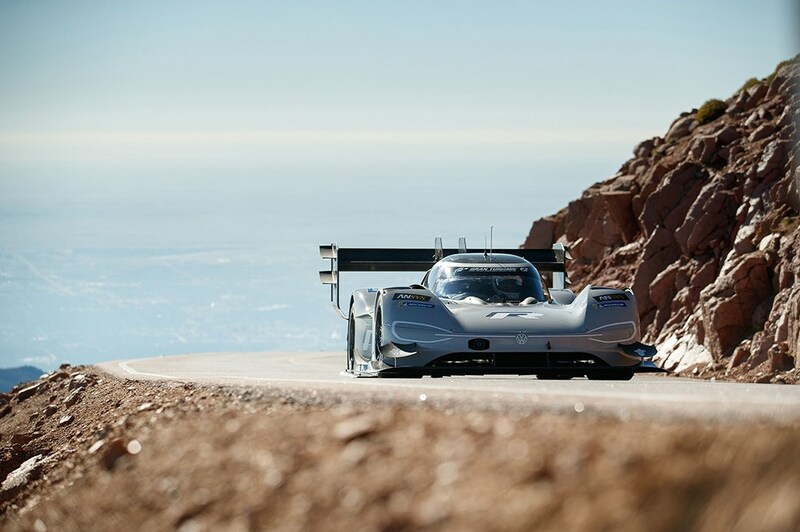 Things you really want when you’re trying to break a record at Pikes Peak. Volkswagen thinks it’s found the perfect relationship between top speed, acceleration and weight – and it’s used a range of innovative technologies to do it. 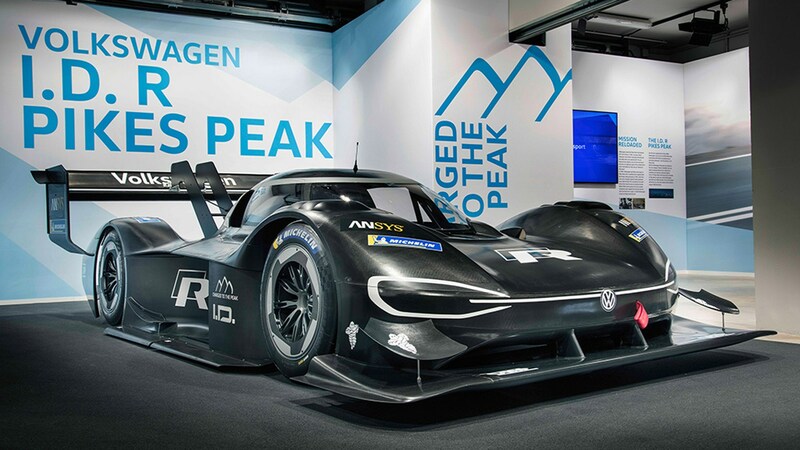 The ID R Pikes Peak weighs around 1100kg with a driver, and that lightweight figure is achieved by the engineering in two main areas of the car. Firstly, with top speeds not as high as you’d think, VW has been able to use fewer and more compact batteries, and place them next to the driver – the most advantageous place for weight distribution and handling. What’s more, the use of weight-saving materials and techniques also kept the car’s structure as light as possible. For example, the cockpit of ID R is made using ultra-light carbonfibre – and while some parts are forged from rather conventional steel and aluminum, they’ve been heavily developed to be as strong and light as possible. 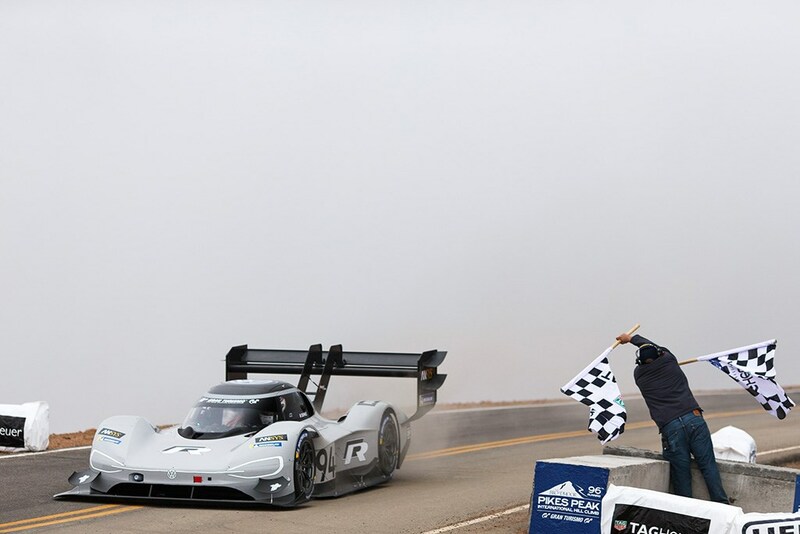 Unlike F1 or WEC, the Pikes Peak hillclimb has relatively loose regulations, and that’s also given VW far more scope to design in extra downforce. 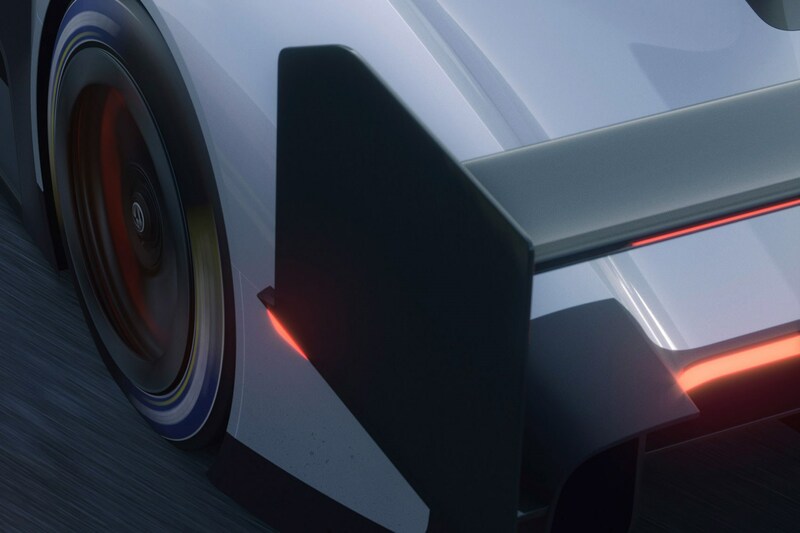 And it’ll need it, because as the altitude of the course increases, air density lowers, and the downforce generated at any given speed is also reduced. As you’d expect from a VW Group project, the ID R Pikes Peak project also had a little help from VW’s friends in Weissach. 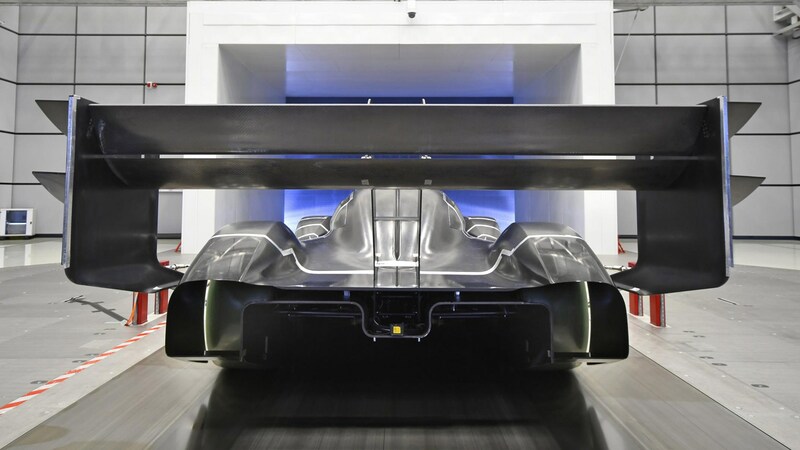 Most of the aerodynamics of the car were proven in the Porsche development centre, and more than 2000 parts were printed to be tested in the wind tunnel. 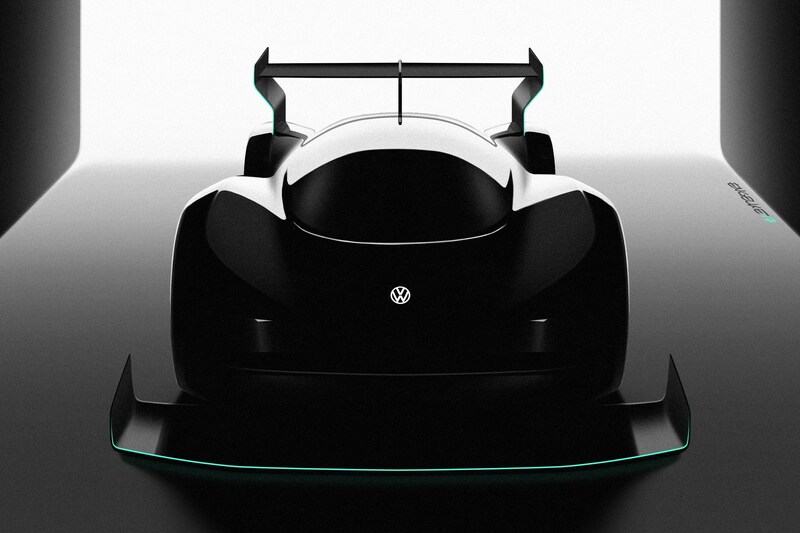 VW says the ID R Pikes Peak will put out 500kW, or 671bhp, but will only tip the scales at 1100kg. 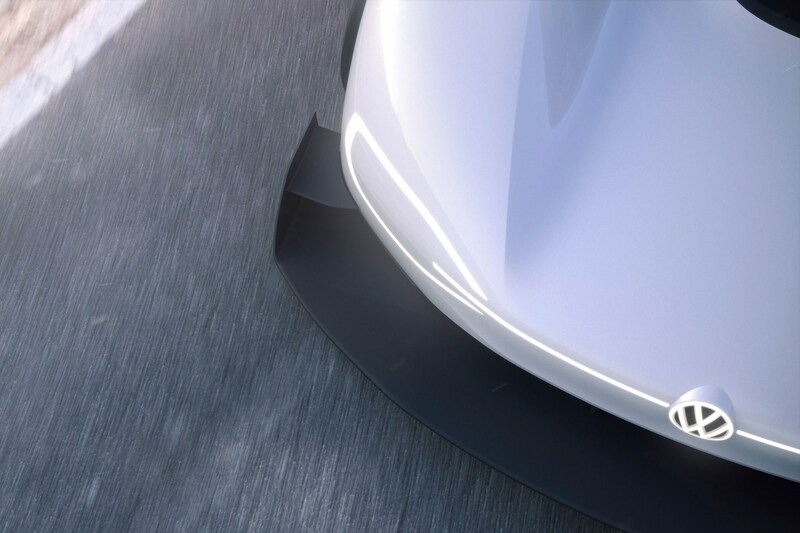 That means it’ll be able to hit 0-62mph in just 2.25 seconds, and should be on track for beating the existing Pikes Peak record of 8min 57.118sec for electric cars. Most of the car’s outward appearance is shaped by aerodynamics, and the rest is down to cooling. Interestingly though, VW says the car’s twin electric motors don’t require anything like the same amount of cooling as a similarly powerful combustion engine. However, because of the changing density of the air, the inlets will still be bigger than needed at sea-level. VW last took on Pikes Peak in 1987 with a twin-engined Mk2 Golf.